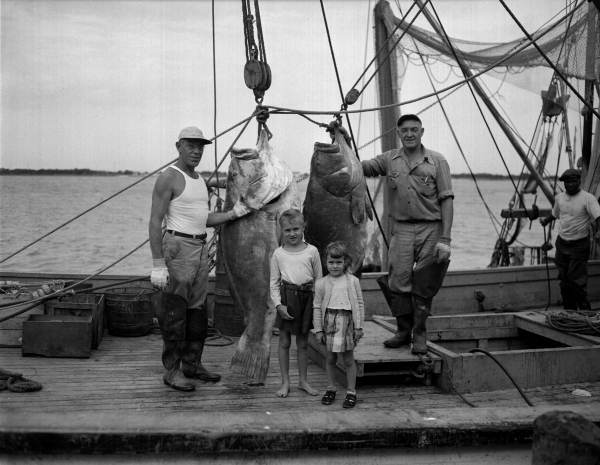 Metro Jacksonville explores Mayport, a historic fishing village at the mouth of the St. Johns River. It's such a shame the Dames Point Bridge is not taller. The Cruise Terminal would be perfect for the old Ford Plant. 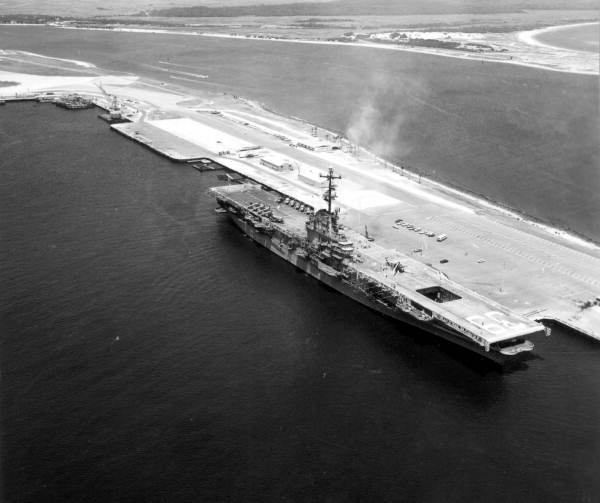 Then Mayport could remain and hopefully revitilize without the fear of being overwhelmed by the Cruise terminal. I don't want to hijack the thread, but does anyone know what the factual basis for this statement is? Timucuan Indians...developed a high level of technological achievement compared to other North American Indian cultures. I'll take the Sand Dollar over Singleton's any day. .........I'll take the Sand Dollar over Singleton's any day. Me too. However I liked Singleton's better in the 80s when it was smaller than now. Compared to the Aztecs or Algonquin tribes? Somebody's idea of a joke. Yes, Mexico is part of North America! 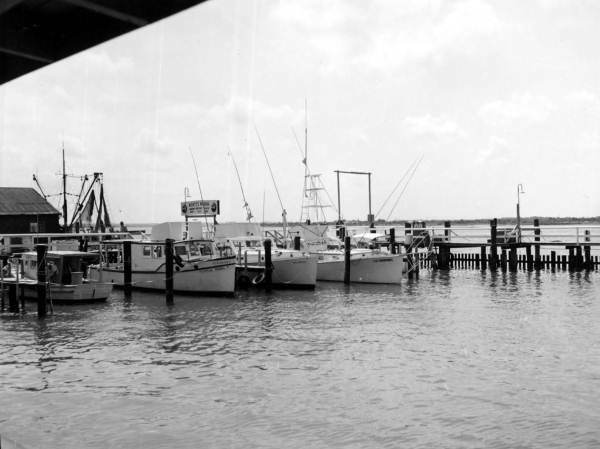 I enjoy going to Singleton's and Safe Harbor for a seafood meal. Being someone who works in the area, I like to support these local establishments. 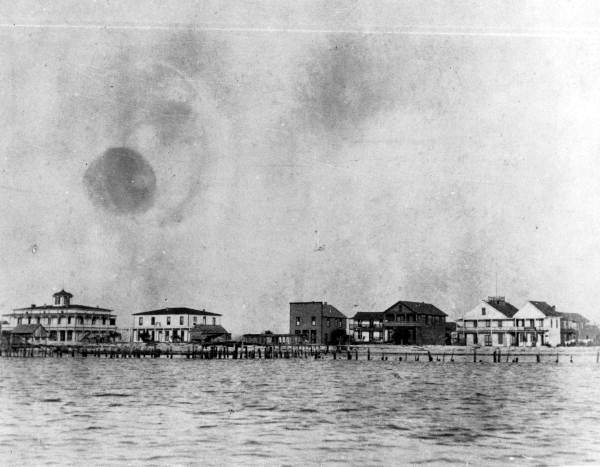 In the beginning COAL, and the birth of the Mayport Terminal Company wharf. If the village really want's to preserve and show off it's history, let's rebuild the Coal Terminal rather then the Cruise Port. Close up of the business end of the railroad wharf's. 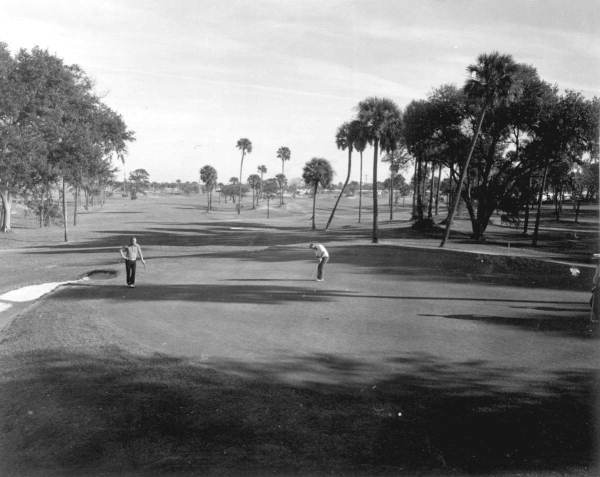 On the far left a sharp eye might spot a box car which in reality is far out over the St. Johns River. 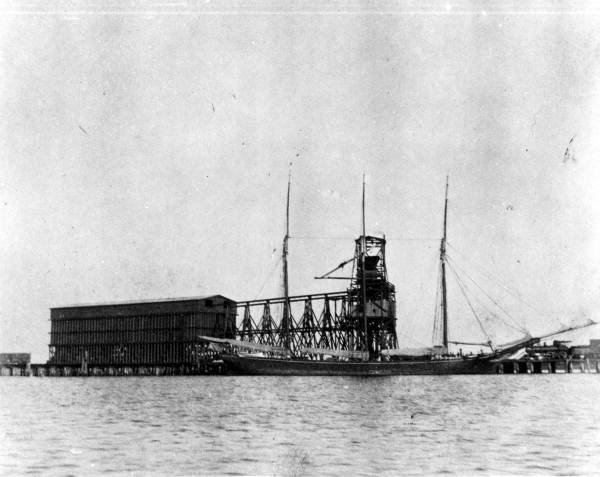 In the Center the Coal Chute's and elevators and in the foreground a 3 masted Schooner Rigged Coastal Freighter. The sharp eye might spot the Mayport Terminal Company "switcher" an ancient 4-4-0 "American Type" steam locomotive easing out on the wharf, it's high driving wheels telling a story that it once represented speed, and equally that this photo is after the line was standard gauged as no narrow gauge railroad would own such a high stepping (high center of gravity) engine. Mayport Wharf of The Mayport Terminal Company Railroad nee Florida East Coast Railway, In the distance the huge Coal Terminal's that fed much of the State's Steam Locomotives, and in the foreground the general cargo "intermodal" transfer yard choked with box cars. 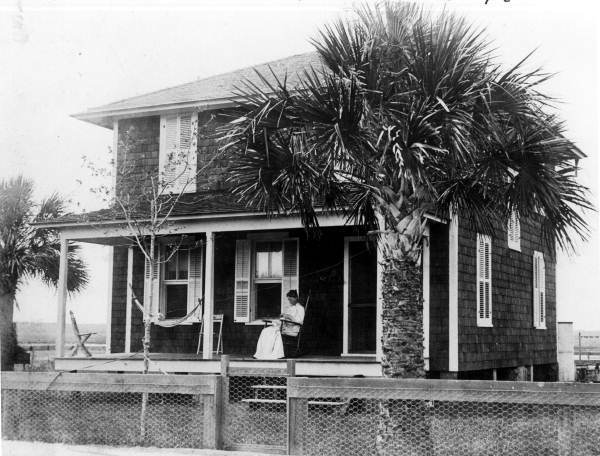 The Floyd Home in Mayport, a different Floyd home belonged to a Sea Captain. 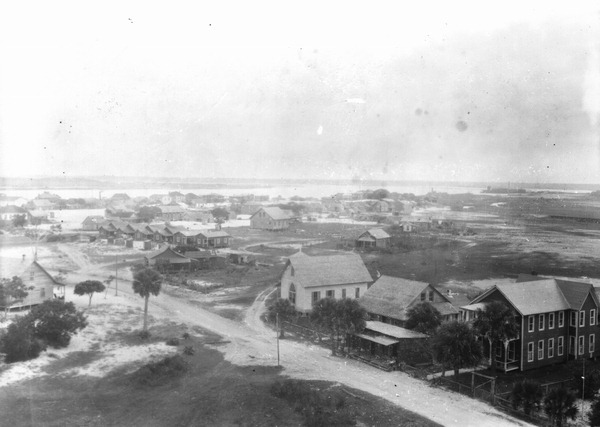 Note the Railroad in the background crossing the Salt Marsh between Mayport and Ruby. Above and Below, Atlantic Beach Station. 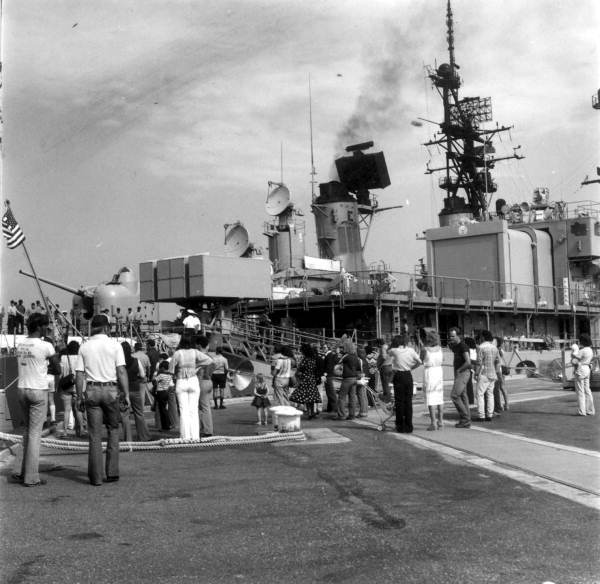 Scene's along the J&A Mayport Sub-Division of the Florida East Coast. 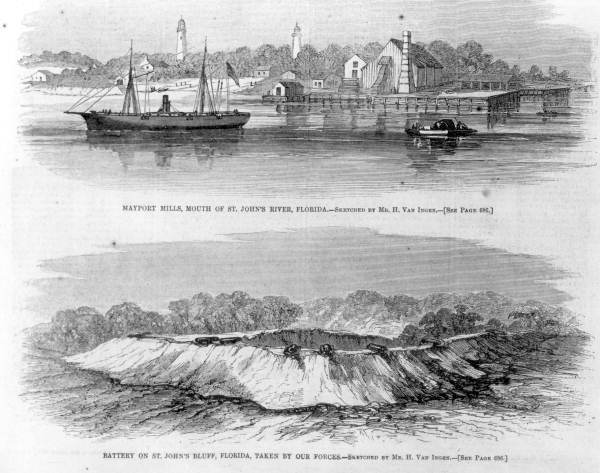 Just went in and added the railroad history to this article, if your interested in railroads to the beach, check it out. 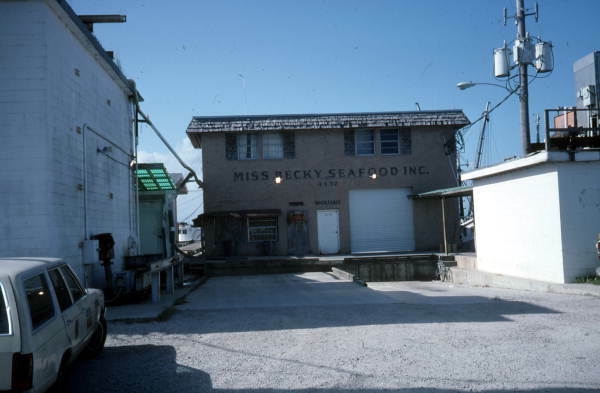 I kept a boat for several years in Ashtabula, Ohio, which at the time (mid eighties) had an active coal terminal. 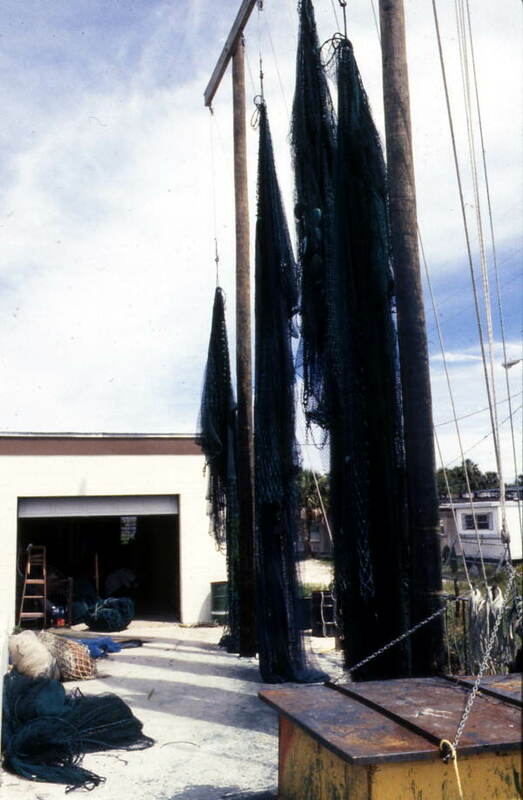 When you arrived at your boat everything around was covered with black dust. 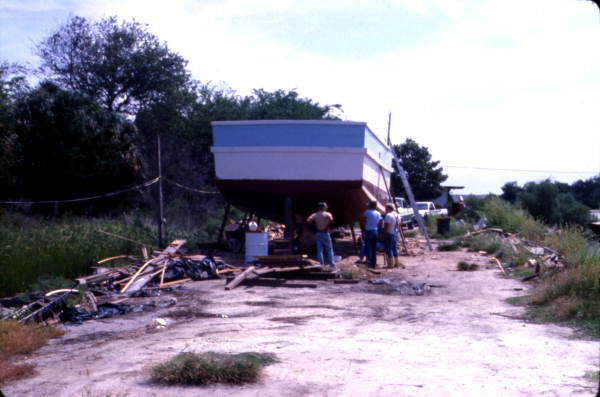 You had to scrub everything down, the boat, the dock, the ramps, literally everything, before you could even step aboard. 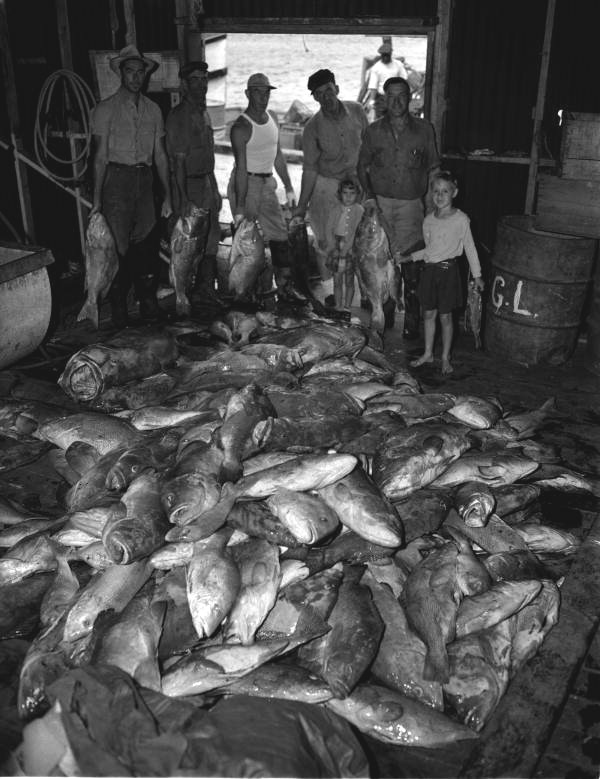 The ships were unloaded on one side of the river and the coal conveyor arced up and over the river to the storage area on the other side. One Summer the terminal was shut down for repairs after a nasty fire and even the town folk were smiling. The town actually looked nice if not covered in coal dust. 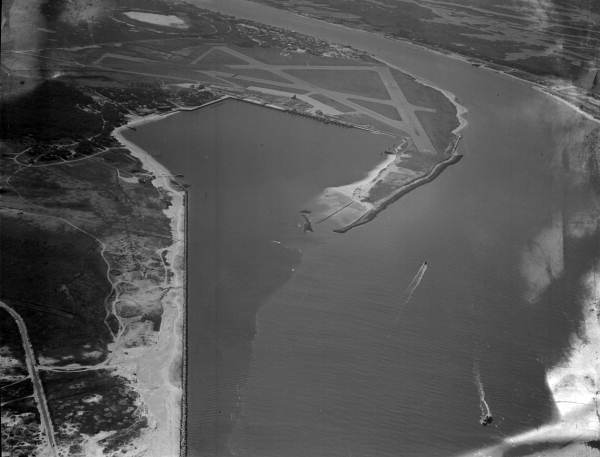 Just some info on what the area may have been like when the Mayport coal terminal was operating. 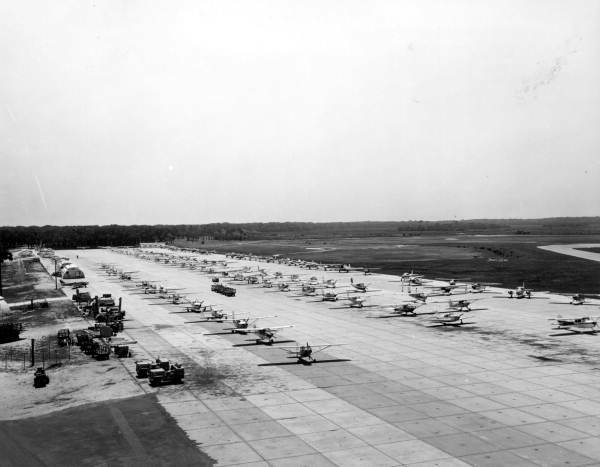 I suppose that like we did in Ashtabula, you get used to it and just did what you had to. The cruise ship terminal seems like a good idea and perhaps the town needs to embrace it and the economic help it could provide. 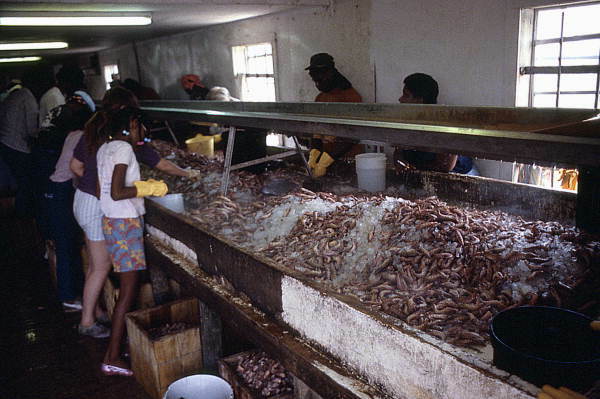 The concept could be done in a way to help even the shrimpers as they could also benefit from the influx of people. Is the old Kings Residence still in use or empty today? "My father says that almost the whole world is asleep. Everybody you know. Everybody you see. Everybody you talk to. He says that only a few people are awake and they live in a state of constant total amazement." Patrica, Joe VS the Volcano. Hey! Whatever happened to just plain ol' COMMON SENSE!! 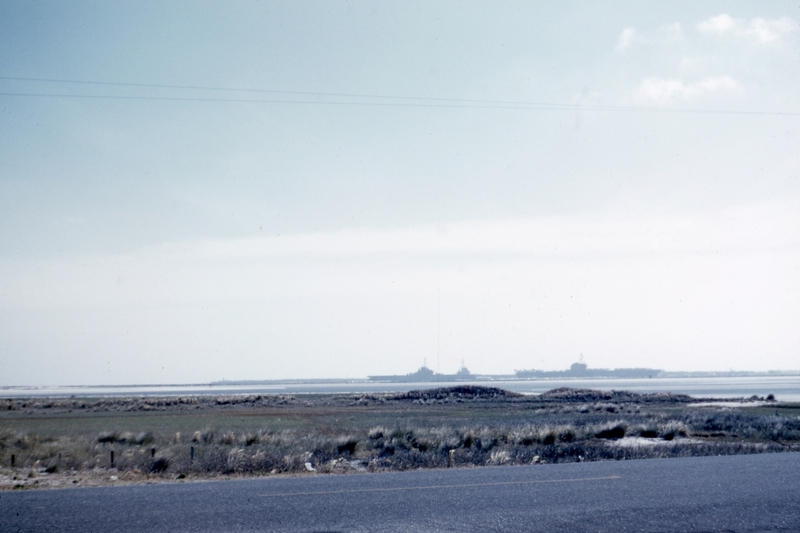 Would be neat to overlay today's land mass over the map as it appears the landscape has been totally transformed by the construction of Mayport Naval Station. Looks like a lot of dredge and fill. 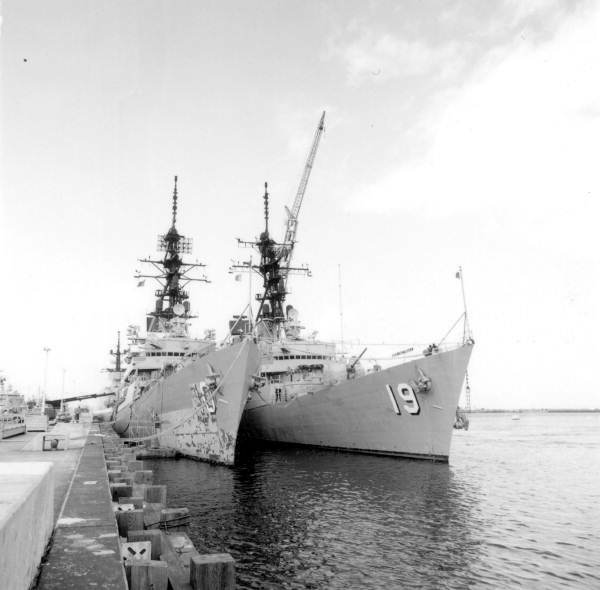 The Jacksonville & Atlantic never reached Mayport as such. 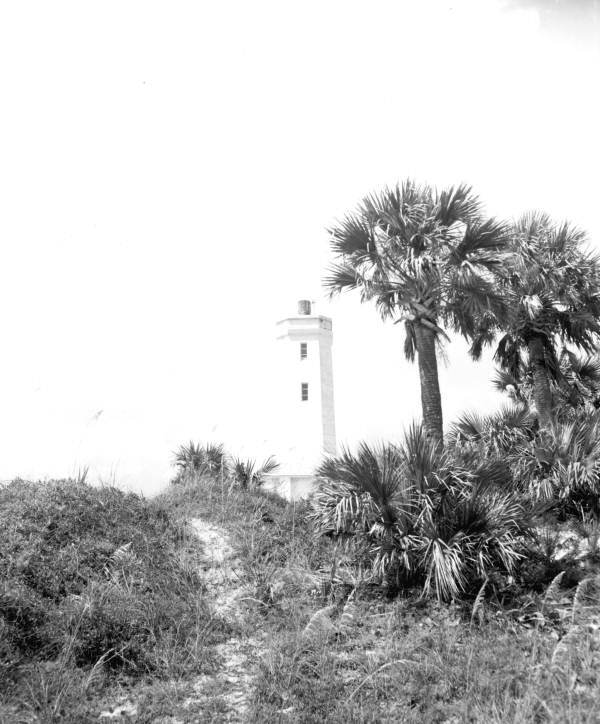 It was bought by Henry Flagler in 1899. In a rolling press conference on a J&A train to the beach, FEC officials explained their plan to standard-gauge the track and extend it to Mayport. 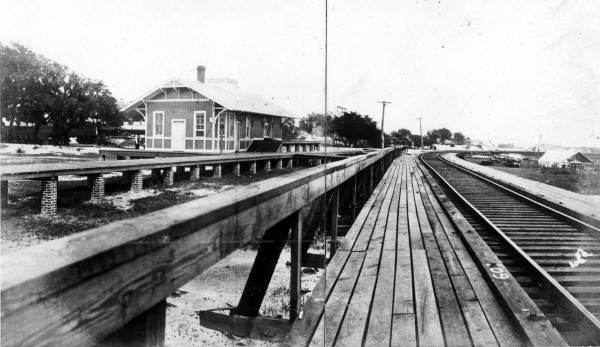 They even considered electrifying the line- in an era when beach railroads were being converted from steam to electric. 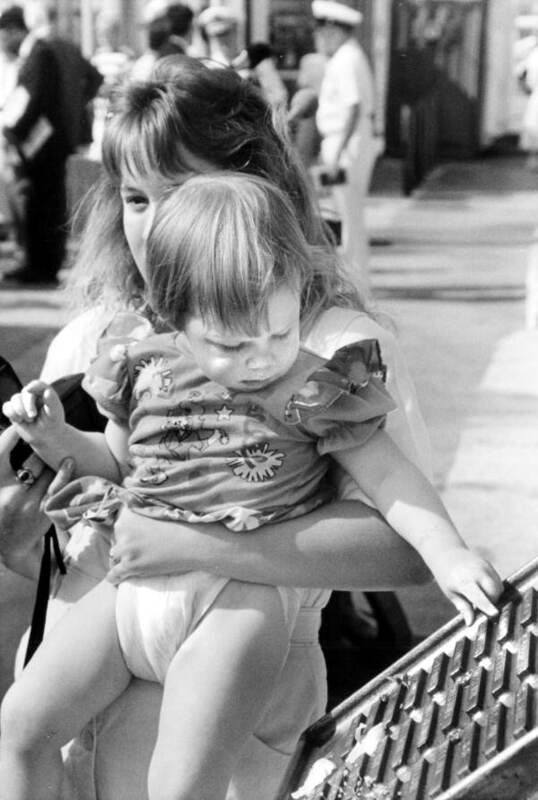 (The subway lines to Coney Island were once steam railroads.) 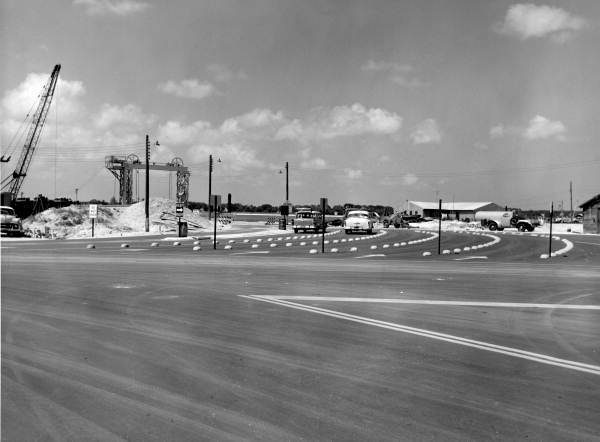 Electrification did not come*, but the Mayport extension did, as did the large Continental Hotel at Atlantic Beach. 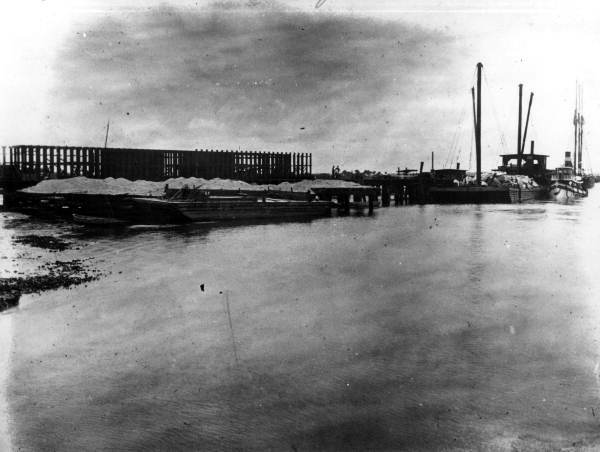 The FEC built a large yard at East Mayport and a coal wharf at Mayport for bringing in locomotive fuel, although the railroad was soon experimenting with oil fuel and eventually converted to it. 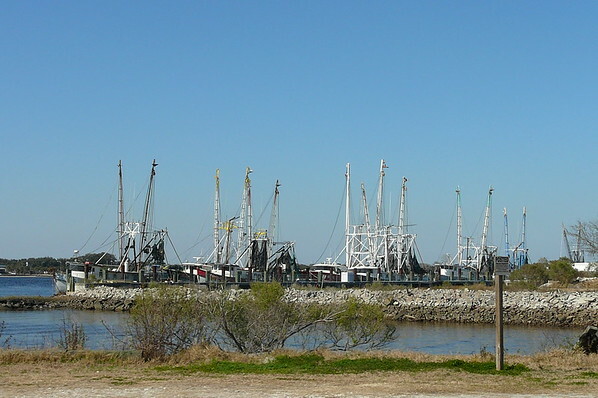 I suspect the Mayport Terminal Company was a paper corporation owned by the FEC to operate the wharf and other trackage for industry there, similar to the Atlantic & East Coast Terminal, the warehouse facility and trackage near the union depot in LaVilla, jointly owned with the Atlantic Coast Line. 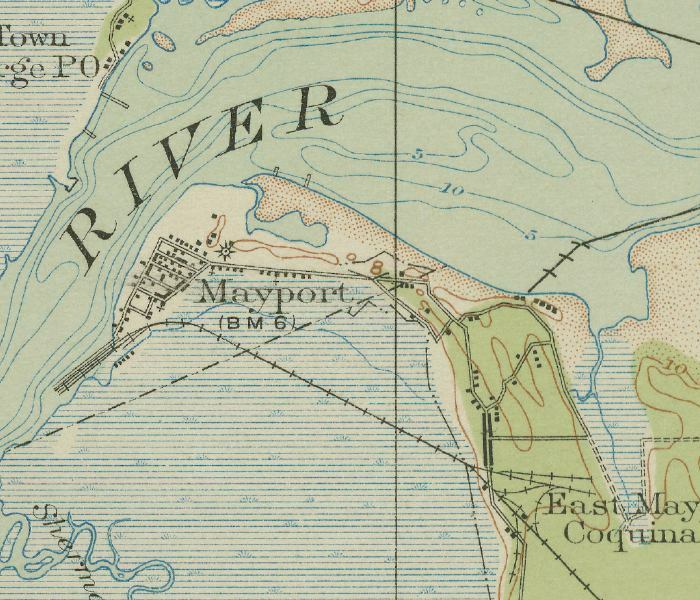 The original JM&P was built as a narrow-gauge line between Mayport (a river landing) and Burnside Beach (now Hanna Park) where there was a hotel and pavilion. 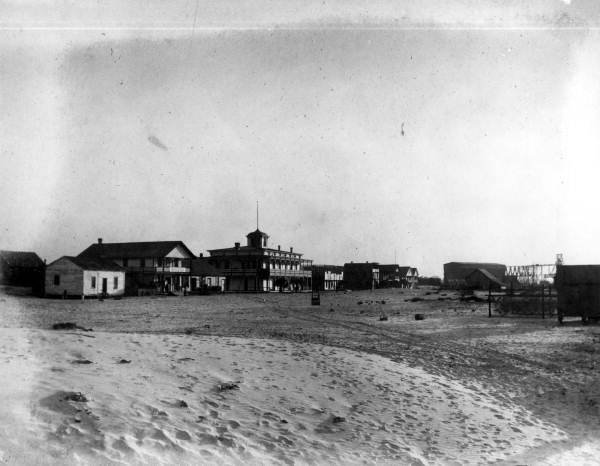 In the 1870s, people had begun the practice of spending some time at the beach in the hot summers, building shacks, or tents, or staying at the seasonal hotels and rooming houses. This was known as "rusticating" and the paper's social columns would mention who was spending time out at the beach. 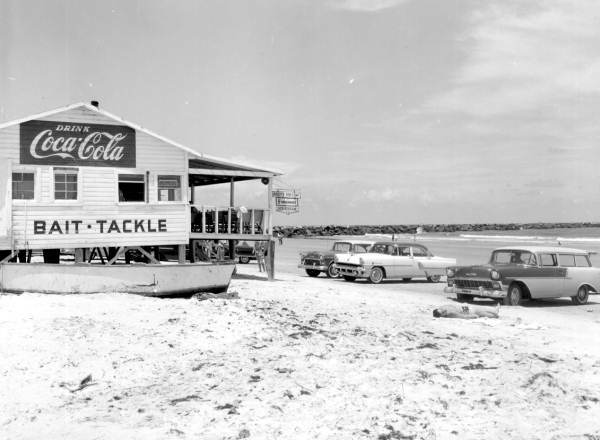 remember, summer was a slow time in Florida, so locals could take a break from business and looked to get away from the sultry city to the cooling breezes at the ocean. But beaches were hard to get to. 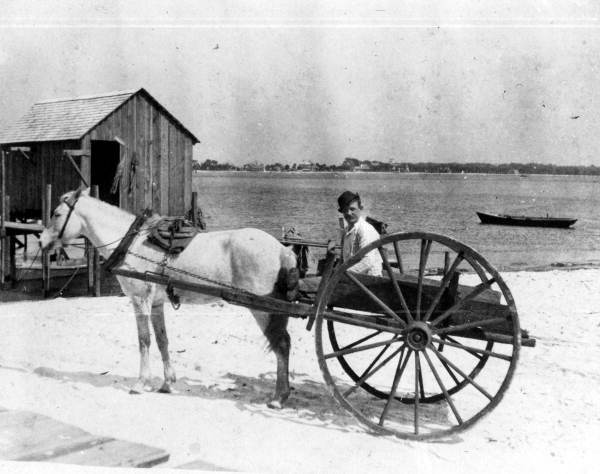 Imagine trying to drive a horse-drawn coach or wagon through the fine sugar sand at the beach. 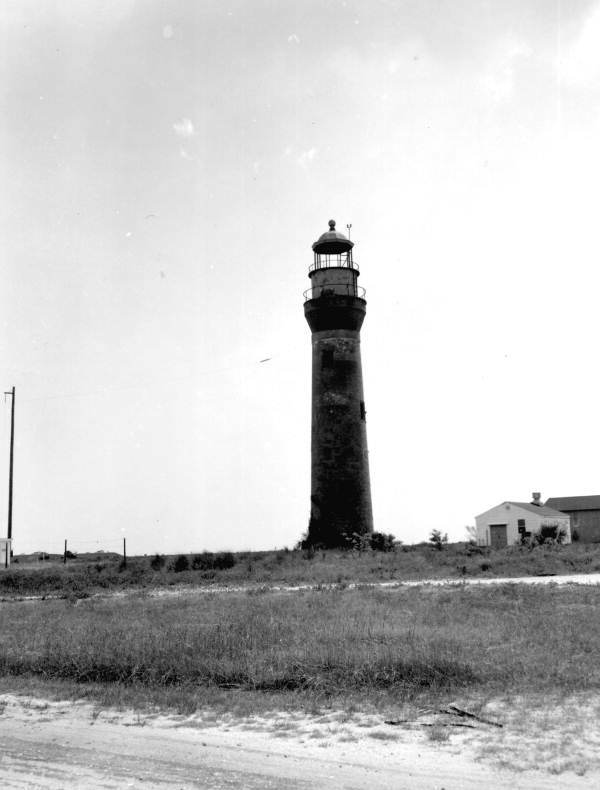 So the JM&P began as a short railroad to get the rusticators from the landing at Mayport to the beach. 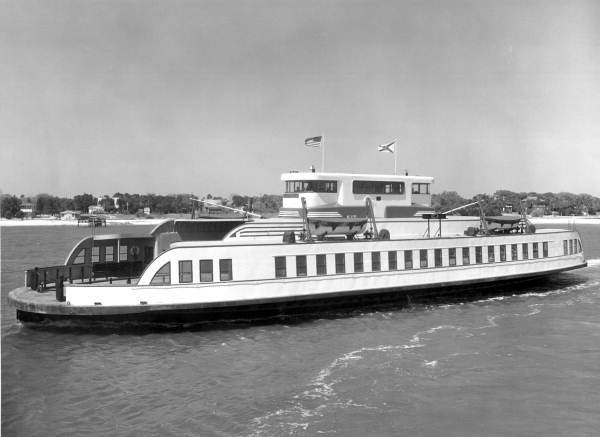 It was built by Alexander Wallace, a Scot who had come to New York and become involved in merchant shipping. 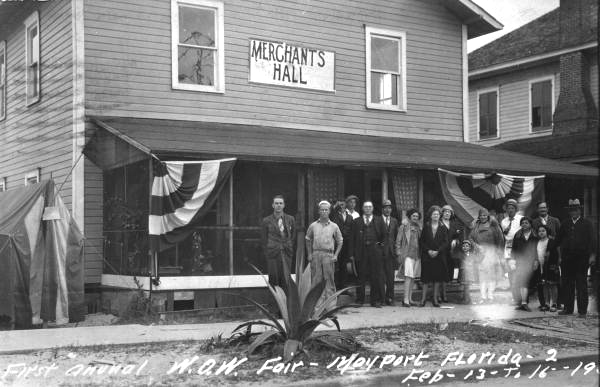 During the War he joined the Navy and was stationed at Key West- Florida's largest city and in Federal hands throughout the war. 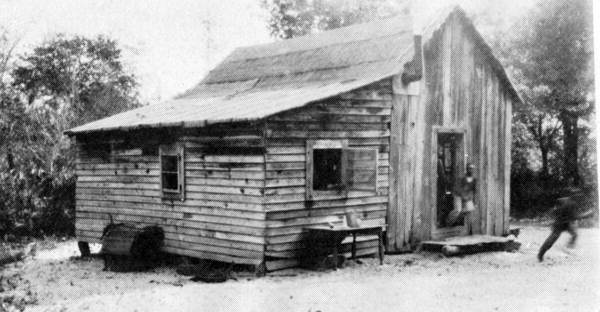 impressed with the opportunity he saw, he returned in the 1870s and began a lumber business, building a large mill on the river east of the city. In the 1880s he was ready to retire, so he took a partner, Thomas Cashens, eventually selling his half, so Wallace & Cashens became Cashens`Lumber. 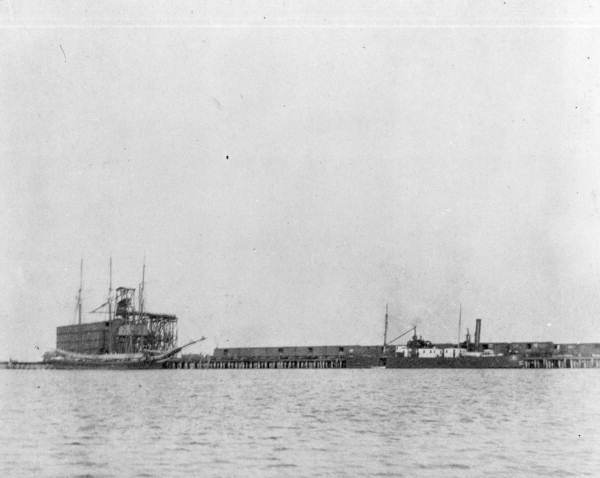 Wallace built a large house at Mayport. 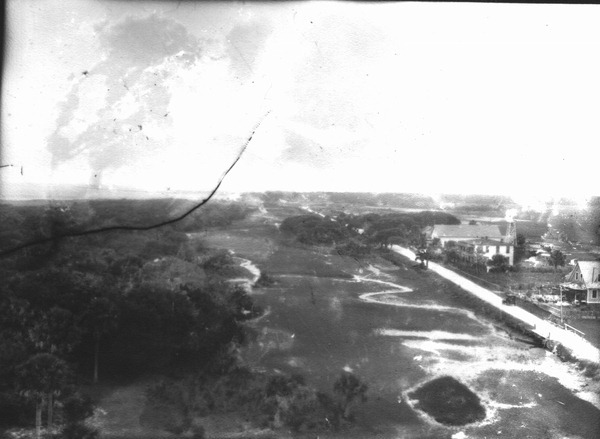 He felt Mayport could become an important shipping point, so he widened the gauge of the JM&P and built a line to a landing on the river at Arlington, about where Jones College is now. 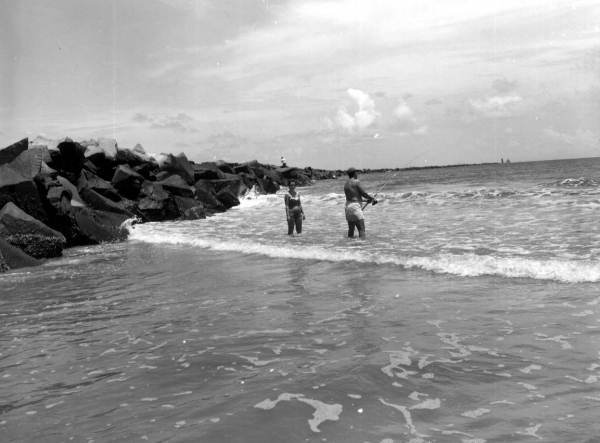 He also mentioned the possibility of extending the line down the coast to Pablo Beach or even St. Augustine, but this was not received with a good grace by the men behind the JA. 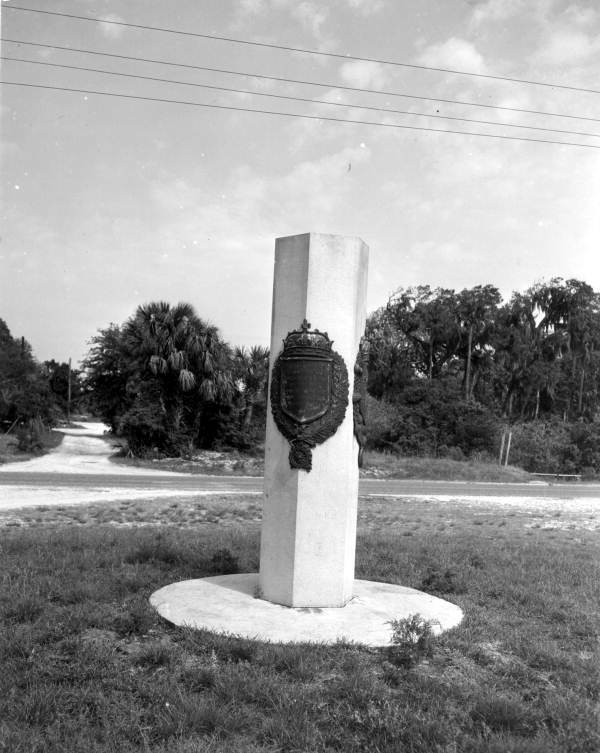 Wallace planned to extend the railroad to South Jacksonville, but he died suddenly, and this work was accomplished by the men who bought the struggling JM&P. For the remainder of its brief life, the line was plagued by an insufficiency of money and changed hands several times. 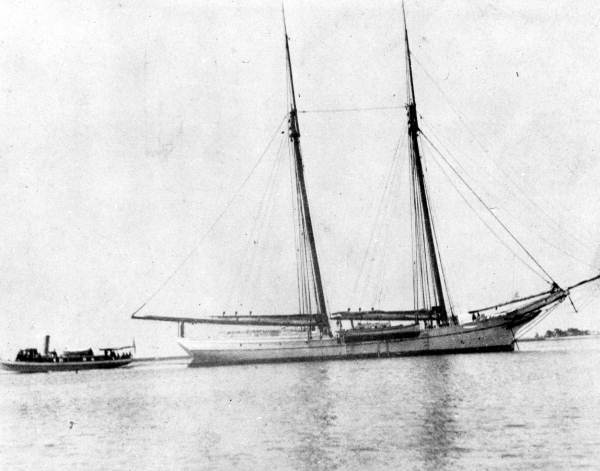 Eventually J. N. C. Stockton acquired it in 1895, re-named it the St. Johns & Atlantic, and shut it down to do a major re-building and re-furbishing. This never happened. For several years the rails remained, rusting in the woods, eventually being removed in 1897 or later. Some of it's decaying coaches were destroyed by a fire in South Jacksonville around 1898. 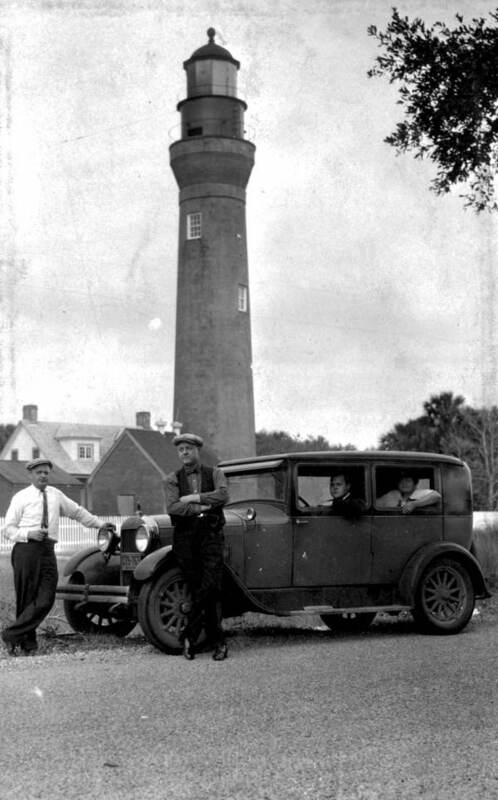 By the time Flagler built to Mayport, the JM&P was gone. 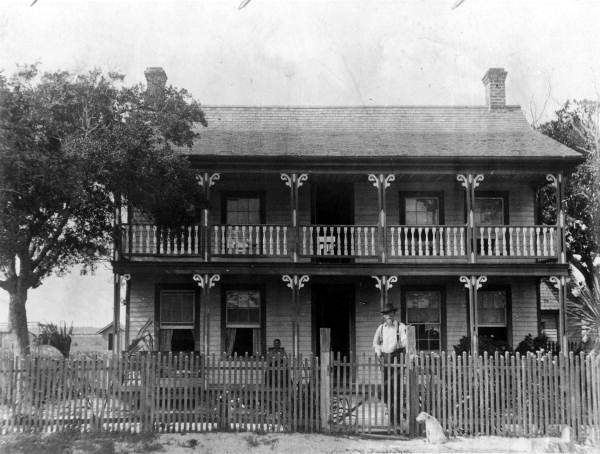 Wallace's widow knew Jim Corbett, so when he trained at Mayport (giving a daily burst of traffic of spectators going out to see him), he stayed at the Wallace house. 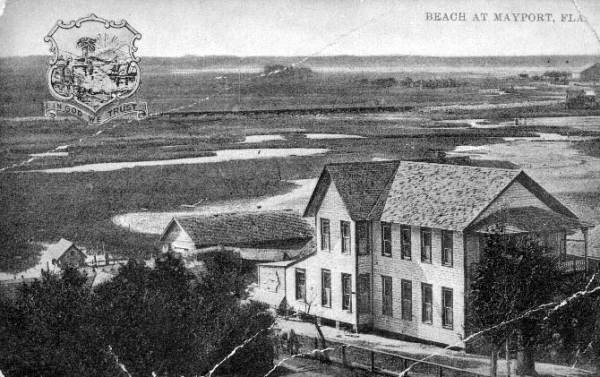 I wrote a monograph "Rails to the Beach" based on research done in reading the Times-Union on microfilm, and a copy is available at the Beaches Historical Society's building on Beach Boulevard (which was once named Railroad Avenue). I'm writing this as best as I can remember without rummaging around and finding the original manuscript. Well, computer word file, actually. 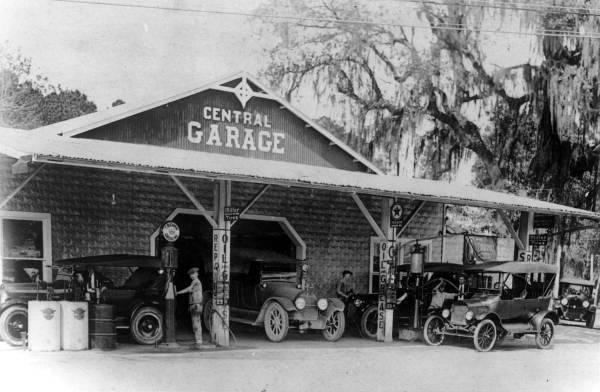 * In a way it did, for the FEC purchased a gas-electric car which operated to Mayport form the Terminal downtown about 1910 in an attempt to cut the cost of steam operation in the slack months. The car was not a great success, and was sold to a railroad in Minnesota.